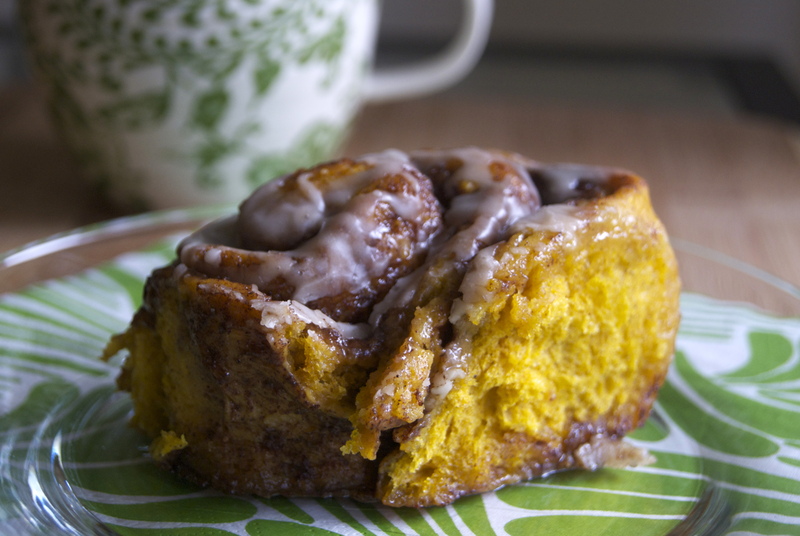 It doesn’t get much better than cinnamon rolls and when you flavor them with pumpkin and make them vegan, then greatness does in fact materialize. 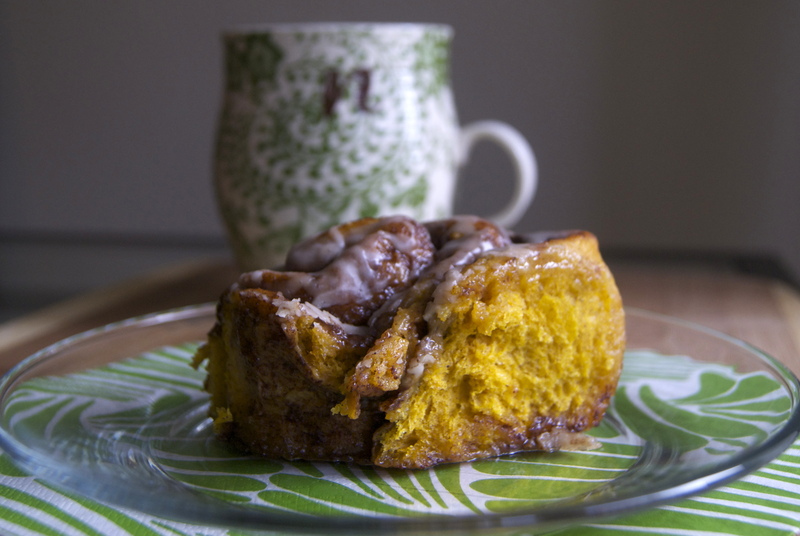 While cinnamon rolls make a totally awesome breakfast, they also make a fantastic dessert and thus breakfast for dessert totally happened at our apartment last night. Once I got the idea of baking cinnamon rolls in my head I could no longer focus on my thesis, I had to go and bake. They take a bit of time, but they are not labor intensive. The time is just needed for the dough to rise, but these are definitely easier to make than the other cinnamon rolls I made this year. In a large bowl, whisk together flour, sugar, nutmeg, salt and cinnamon. Add pumpkin puree and earth balance to your foamy yeast mixture; blend well. Make a well in your dry mix and add liquid, stirring to incorporate. Knead for a couple of minutes until smooth (this can be done in a stand mixer with the dough hook or with your hands), adding extra flour a little bit at a time as needed to keep it from sticking to everything. (Don’t add too much or your rolls will end up tough!) Gently poke the dough with your index finger; if the indent bounces back, you’re good to go. Once it’s about doubled, punch it down and roll out until it’s rectangular and about ¼-½” thick. Slather with melted earth balance and sprinkle brown sugar and cinnamon evenly over the top. Applying slight pressure, roll the dough up like a jelly roll. If you want wide, squat buns with a ton of rings, roll it up the long way and make thinner slices; if you’d rather have more, taller buns (like the ones pictured), roll it up the short way and make thicker slices. Firmly saw through the roll with a serrated knife. Arrange in a pan (9×13″ for squatter buns, else a 9″ cake pan); it’s okay for there to be a little bit of room between the rolls, as they’ll expand into each other and create that nice pull-away effect.Cover and set in a warm place to rise for another 40 minutes (this is when you can preheat your oven to 375F). While the buns bake, whisk together icing ingredients until smooth. Set aside at room temperature (refrigeration will make it difficult to pour). I’m not a huge pumpkin fan, but this seriously looks fantastic! 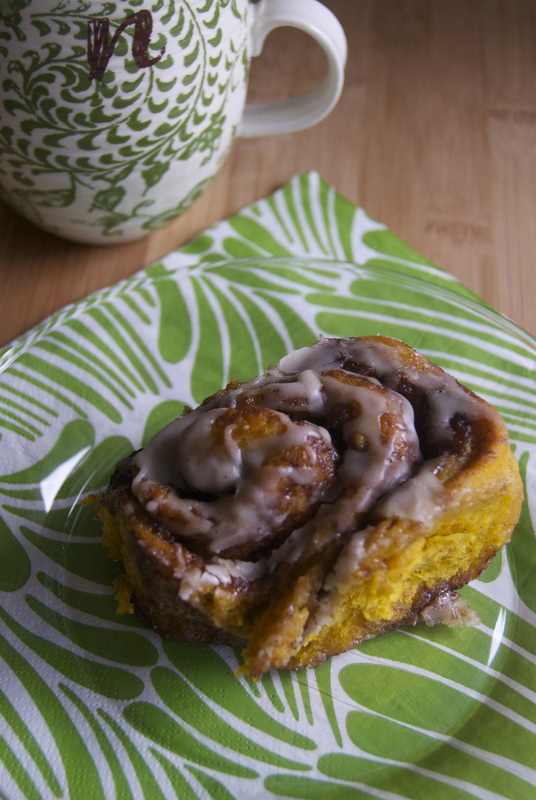 The pumpkin flavor is quite subtle but does make the dough super moist and elastic! You are very welcome. 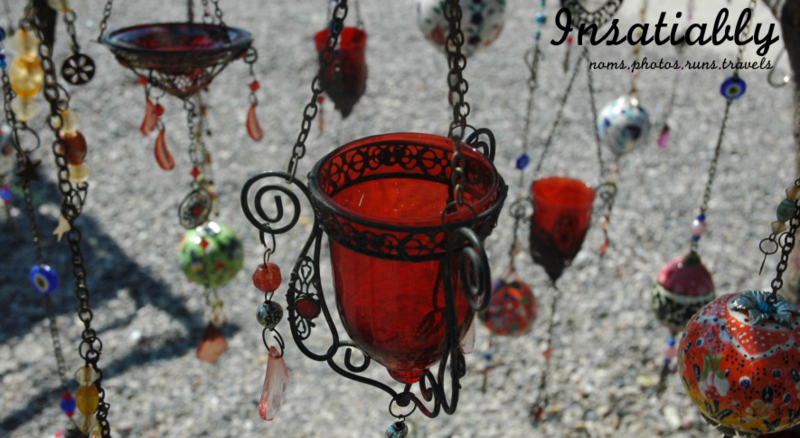 Do let me know when you get around to making them! What a great idea. I would imagine the pumpkin helps with keeping it moist! These were so tasty. Salivating, think about them now.